This past weekend, for the first time in my adult life, I was the victim of identity theft. We were walking into the movie theater about to sit down for a movie, and I got a phone call from a weird phone number. I listened to the message as we sat down in our seats and it was Bank of America saying there was suspicious activity in my bank account. My first reaction was that it was a scam, some kind of phishing attempt to get me to call them back and give them personal information acting like they were Bank of America. I have an iPhone, so I logged into my online banking from the BOA iPhone app, and sure enough, there were two $1,000 purchases and about a dozen smaller charges. My heart sank to my stomach. I couldn’t freakin’ believe it. Someone hijacked my account or one of our debit card numbers and was buying crap online. I couldn’t sit through that movie knowing what I now knew, so we left the theater, got rain check passes to see the movie another time, and I quickly called Bank of America. The theft occurred on Saturday, so Bank of America was on top of their game. I had just checked my account online on Friday, but if they hadn’t called me, I probably wouldn’t have checked it again until Monday or Tuesday. After doing some research, I’ve found that the quicker you report unauthorized transactions, the less suspicious the bank is that it was actually you that made the purchases. There may be a specific time period that you have to claim unauthorized transactions, but call and notify them ASAP! All large banks and even regional banks/credit unions more than likely have a specific identity theft/fraud division. Those are the people you need to talk to. Make sure you write down all of the purchases that are unauthorized and the amounts, because they’ll ask you to name all of the ones that were unauthorized. They’ll start claims for all of those charges to be reversed, but for Bank of America, they couldn’t begin the claim process until those charges had cleared out of my account. The only way they can reverse them before they clear is by contacting the merchant to try to get them to stop the payment from going through. The merchant in this case was some shady looking website from Germany. It was probably run by the thieves. I was so flipping mad, that I put the obligatory rant on my Facebook status, and not surprisingly, a lot of people in my friend circle had this happen to them in the past. Once Bank of America puts the money back in your account, it’s a “temporary credit.” This temporary credit is made permanent ONLY when you fill out the affidavit that they send you and you send it back AND they receive it. I had a friend who sent the affidavit back to Bank of America, but it got lost in the mess of Bank of America stuff, and they didn’t get any kind of tracking or signature confirmation on the mail, so they had no way of proving they sent it back within the specified time period, so Bank of America took the “temporary credit” back out of their account, and they were out $200. If you truly didn’t authorize the purchase with your signature or by entering your pin number, you have ZERO liability for those purchases, no matter what bank it is or what state you’re in. That’s federal law. Don’t let anyone tell you otherwise. The way that banks legally pin you down is by the affidavit you sign. If, for some reason, they find out you were lying and you signed that form, you could get in a lot of criminal trouble. ALWAYS send back the affidavit via certified mail with return receipt requested. Immediately file a fraud alert with all three credit reporting agencies. You can do it on all three of their websites. The agencies are Equifax, Transunion, and Experian. 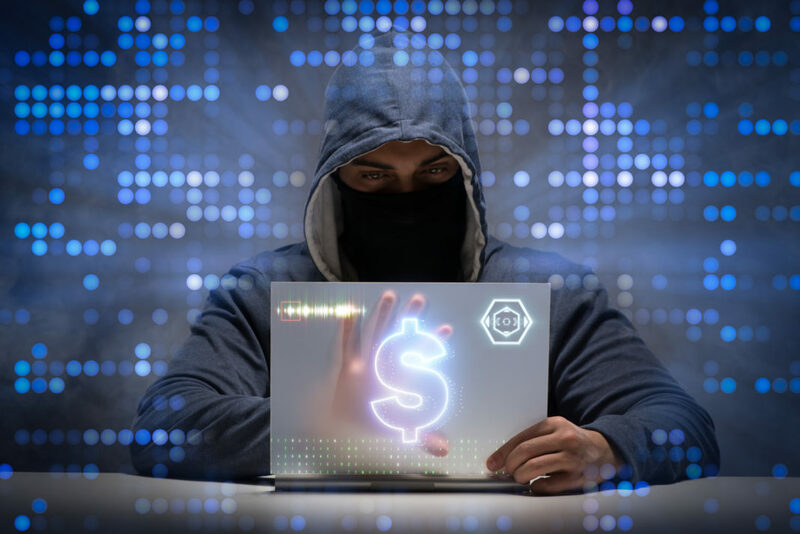 This will alert anyone who runs your credit that they need to verify your identity before loaning you money or doing any kind of financial transaction using your social security number. If all they did was take your debit card number, you can usually keep your bank account. The bank will know if the purchases came from a debit card or drafted from the bank account number and routing number. Even though I’m not a big fan of mega banks, we have Bank of America because I’ve had it for so long, and there are so many bills and direct deposits hooked up to it that it’d be a royal pain to switch to another account. I think it was to my advantage in this instance because BOA deals with so much fraud that they were on top of this very quickly. It happened on Saturday, I filed the claims on Saturday, the transactions cleared on Tuesday, and the money was back in our accounts on Wednesday, so that’s a pretty good turn around time. We were only without the money for four days. I have no clue how they got my debit card number. I am going to do a follow up post about how to protect your debit card number from getting stolen. My conspiracy theory is that it was a credit card skimmer, like someone got it from a gas pump or a server at a restaurant wrote it down and passed it off to someone who sold it to the black market. Who knows, but I’m kind of glad that it happened, because it’ll make me a lot more protective of my debit card, how I use it, and where it’s being used. Do you or any of your friends have any stolen account information stories?